Startups have a singular focus on getting their product to market as quickly as possible. Given that focus, you’d think that the primary mode of failure for a startup would be being too late to market, but it’s actually hard to think of startups that fail by being too late. Some startups fail because they never manage to get a product shipped at all, which I suppose is a sort of special case of being too late to market: you can’t be later than never. But try and think of a startup that failed because, by the time it got to market, a competitor had already vacuumed up all the opportunities. Monterey in place and route, I suppose, simply too far behind Magma and the big guys re-tooling. On the other hand, many startups fail because they are too early to market. In EDA, technologies tend to be targeted at certain process nodes which we can see coming down the track. There’s little upside in developing technologies to retrofit old design methodologies that, by definition, already work. Instead, the EDA startup typically takes the Wayne Gretsky approach of going where the puck is going to be. Develop a technology that is going to be needed and wait for Moore’s law to progress so that the world does need it. The trouble with this is that it often underestimates the amount of mileage that can be got out of the old technologies. Since process nodes come along every couple of years, and even that is slowing, getting the node wrong can be fatal. If you develop a technology that you believe everyone needs at 45nm but it turns out not to be needed until 30nm then you are going to need an extra two years of money. And even then, it may turn out not to be really compelling until that 22nm node, after you’ve gone out of business. All the OPC (optical proximity correction) companies were too early to market, supplying technology that would be needed but wasn’t at that point in time. Even companies that had good exits, like Clearshape, were basically running out of runway since they were a process generation ahead of when their technology became essential. The windows paradigm was really developed at Xerox PARC (yes, Doug Englebart at SRI had a part to play too). Xerox is often criticised for not commercializing this but in fact they did try. They had a computer, the Xerox Star, with all that good stuff in. But it was way too expensive and failed because it was too early. The next attempt was Apple. 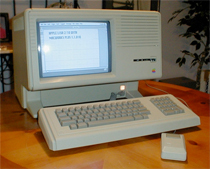 Not Macintosh, Lisa (pictured above). It failed. Too early and so too expensive. One can argue the extent to which the first Macs were too early, appealing only to hobbyists at first until the laser printer (also invented at PARC) came along. There are other dynamics in play than just timing but Microsoft clearly made the most money out of commercializing those Xerox ideas, coming along after everyone else. Another means of being too early is simply having an initial product that it turns out nobody needs yet because it’s not good enough yet. Semiconductor development processes are all about risk-aversion, and any change has to mean that the risk of changing is less than the risk of not changing. For a startup with an early product in a process generation where the technology might be only nice-to-have this is a high barrier to cross. The startup might just serve as a wakeup call to everyone else that a product is required in the space, and eventually another startup executes better (having seen the first company fail) or the big EDA companies copy the technology into their own product line. Overall, I think more startups fail by being too early to market than fail by being too late. Remember, it’s the second mouse that gets the cheese. This entry was posted in investment, management. Bookmark the permalink.